DJ Rob Swift, an American DJ turntablist legend, has posted several helpful turntablism DJ videos on his Facebook page. The videos come from a series of his own classes where he teaches DJs of all ages, skill levels, and genres. His unique videos, rather than just demonstrating it for the camera, usually feature one or more students being walked through the exercises. 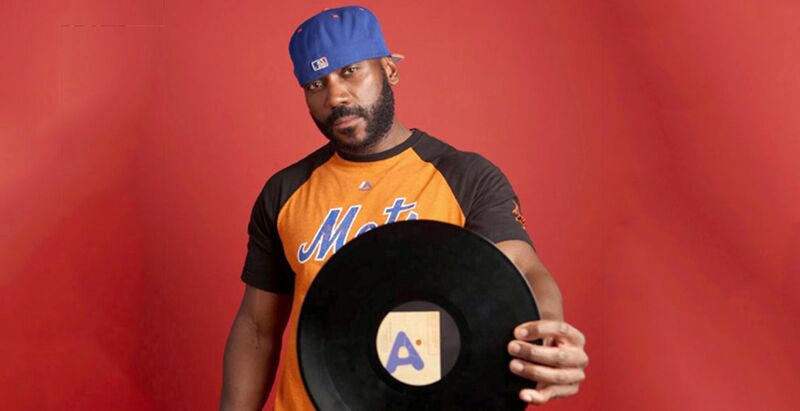 For a fun Friday article, here’s 5 helpful lessons for turntablists from Rob Swift! The most valuable lesson DJing has ever taught me is the importance of perseverance. Incidentally, I’ve LEARNED this lesson through TEACHING my students. I’ve found that introducing a new technique is like encountering a new obstacle in their journey to become true DJs. They conquer one skill only to move on to the next, and It’s when they confront that insurmountable task of mine that we find out whether they have the perseverance to conquer the challenges that come with learning this art. If you’re goal is to become a DJ, above all else, you must have the patience and fortitude to persevere through your misteps. Do that and the gods of CREATIVITY will always reward you! “The most valuable lesson DJing has ever taught me is the importance of perseverance. Incidentally, I’ve LEARNED this lesson through TEACHING my students. I’ve found that introducing a new technique is like encountering a new obstacle in their journey to become true DJs. They conquer one skill only to move on to the next, and It’s when they confront that insurmountable task of mine that we find out whether they have the perseverance to conquer the challenges that come with learning this art. “People think that creativity is birthed out of what your mind conceives and that’s not true. Creativity is instinctive. It’s your instincts that inspire all the creative ideas you have. Your brain just thinks of the mechanical way to give birth to what your instincts are inspiring you to do. DISCLAIMER: If you’re one of those sensitive men who are easily hurt by my frankness, STOP reading this post now and move on. If you’re the type of “turntablist”, “skratcher” or “beat juggler” that thinks my opinions towards the millennial era of DJing is emotionally offensive, STOP reading this post now and move on. If you’re a Battle DJ who’s sole purpose for competing in competitions like the DMC is to receive praise from others and would rather avoid constructive criticism, STOP reading this post now and move on. I’m not looking for any “skratch” beefs. I’m not trying to damage anyone’s self esteem. I do not want to incite any “turntablist” riots on facebook. The information imparted in this here video is intended for those who genuinely want to get better at this art. If that’s not you, STOP reading this and move on. 1. When in doubt, do not use the Mixer’s crossfader. 2. Articulate your scratches in your own unique way. 3. Sometimes it’s the notes you don’t play. In other words, less is more. Olivia and Sadie obeyed each rule dammit! When in doubt, do not use the mixer’s crossfader. Articulate your scratches in your own unique way. Sometimes it’s the notes you don’t play. In other words, less is more. Every “Beat Juggle” pattern you can possibly coax out of two turntables exists already. Sounds bugged, I know, but it’s true. The catch is, you determine the discovery of these patterns by the ways in which you move. Your turntables respond to your hand motion and your hand motion influences the sound being produced by the speed and accuracy with which you maneuver on your turntables. We’re talkin’ basic “cause and effect”. And so the next time you step in front of your set to practice your “Juggles” rest assured that song you chose to work with, contains in it a plethora of “Beat Juggle” patterns. Patterns that reveal themselves according to the creative mindset you reside in while you practice. “Every “Beat Juggle” pattern you can possibly coax out of two turntables exists already. Sounds bugged, I know, but it’s true. The catch is, you determine the discovery of these patterns by the ways in which you move. Your turntables respond to your hand motion and your hand motion influences the sound being produced by the speed and accuracy with which you maneuver on your turntables. We’re talkin’ basic “cause and effect”. Regardless of what style of DJ you might personally have, Rob’s helpful insights that he shares with his students are worth sharing and are applicable to almost all styles of DJing. As DJ Rob Swift would say himself #WeTalkinBoutPractice!